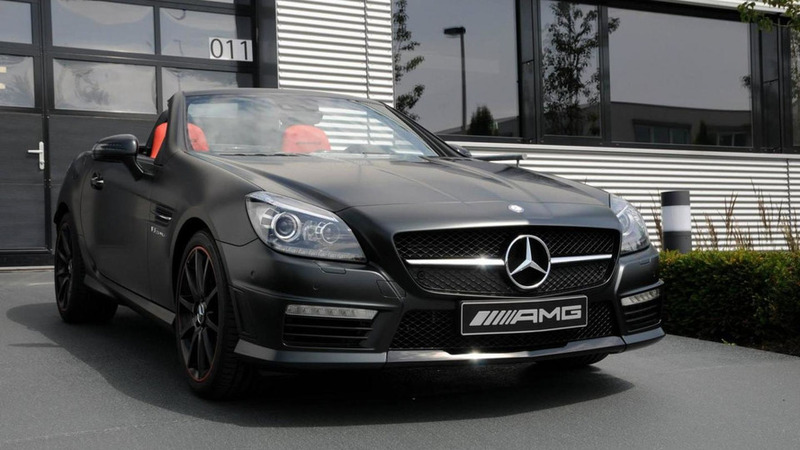 Mercedes has unveiled a one-off SLK 55 AMG created by the AMG Performance Studio. Looking rather sinister, the car features a matte black exterior with two-tone alloy wheels and a matte black four-tailpipe exhaust system. Bigger changes occur in the cabin as the standard seats have been replaced by designo red pepper leather ones reportedly sourced from the SLS AMG. The cabin also features a two-tone steering wheel, carbon fiber trim and a Nappa leather / Alcantara gear knob. Other highlights include red contrast stitching and matching floor mats. 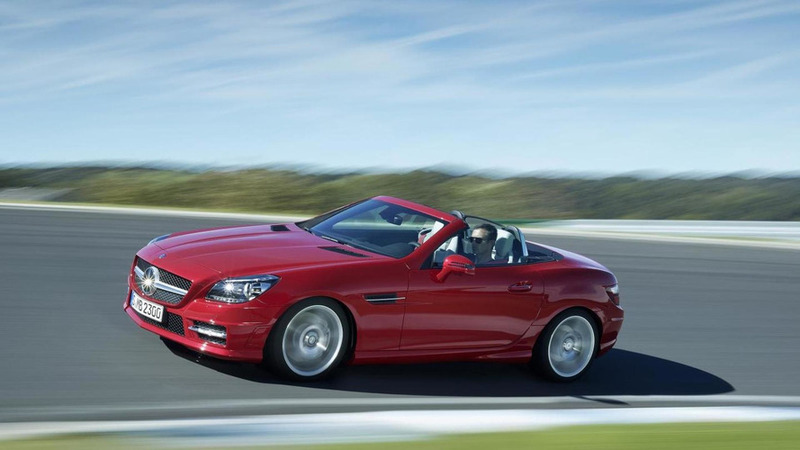 As a refresher, the SLK 55 AMG features a naturally-aspirated 5.5-liter V8 engine with 422 PS (310 kW) and 540 Nm (398 lb-ft) of torque. It enables the convertible to accelerate from 0-100 km/h in 4.6 seconds and hit an electronically limited top speed of 250 km/h (155 mph).